We hope your 2014 is off to a fantastic start! Ours has been amazing so far, and it’s all because of you! We have been reading all of the feedback you’ve been leaving about our folding bluetooth keyboard on Amazon, Walmart, and other sites, and we are so appreciative of your kind words! We love reading your comments and suggestions, and we hope to continue to receive feedback from you all. As always, we are here to answer any questions you have about our products. Please feel free to contact us any time at support@mywerkz.com. Join our Product Review Team! Get free iwerkz gear - join our review program. When new products are launched you may be selected to receive free products for review. 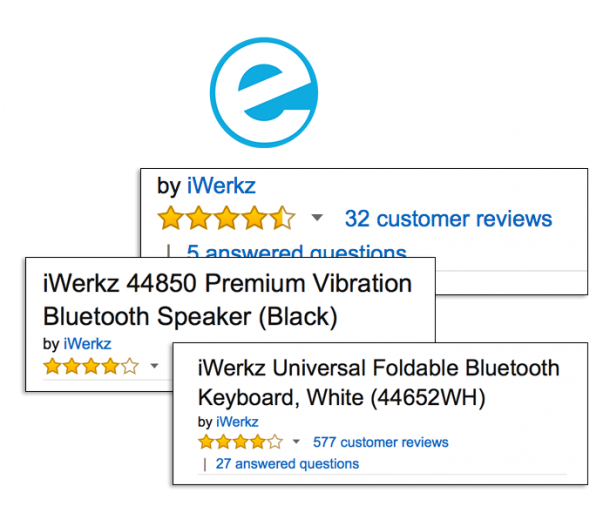 We ask only for honest, detailed reviews on sites like Amazon.